These butterscotch brownies are so easy the batter will be ready before the oven has even pre-heated! 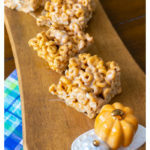 Great first recipe for kids learning to bake. The sweet and salty combo is utterly addictive. Do you consider butterscotch to be a fall or summer flavor?? 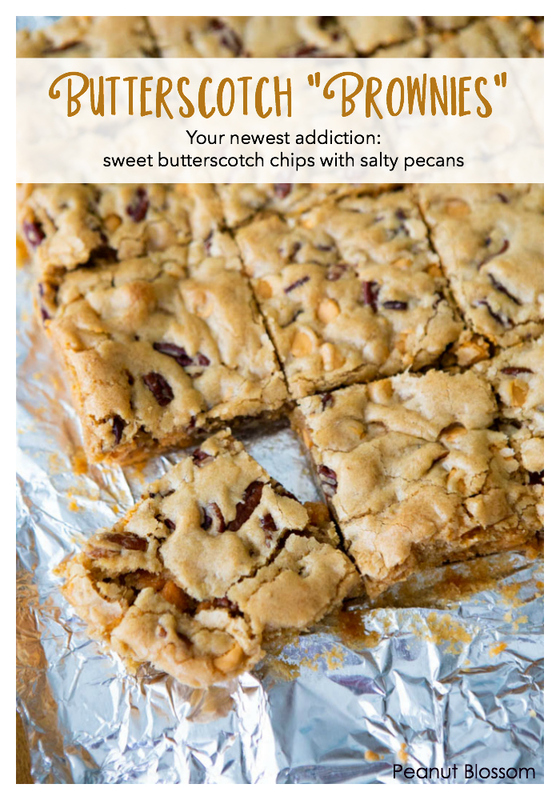 Normally, I’d think of butterscotch brownies as a fall treat but now I’m reconsidering my opinion on that. 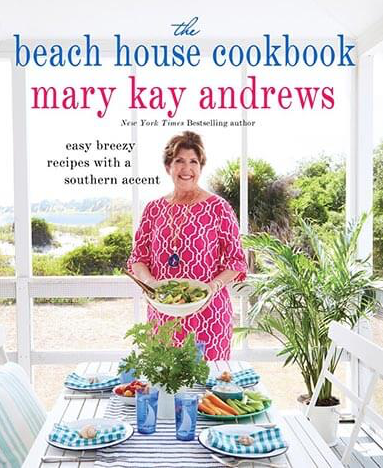 I found the inspiration for this recipe in Mary Kay Andrew’s awesome beach house cookbook, a Mother’s Day treat I gifted to myself last week. I don’t want to make just one recipe from a menu, I want to make the entire cluster of dishes together as a set. Alone they are simple, together they are brilliant. 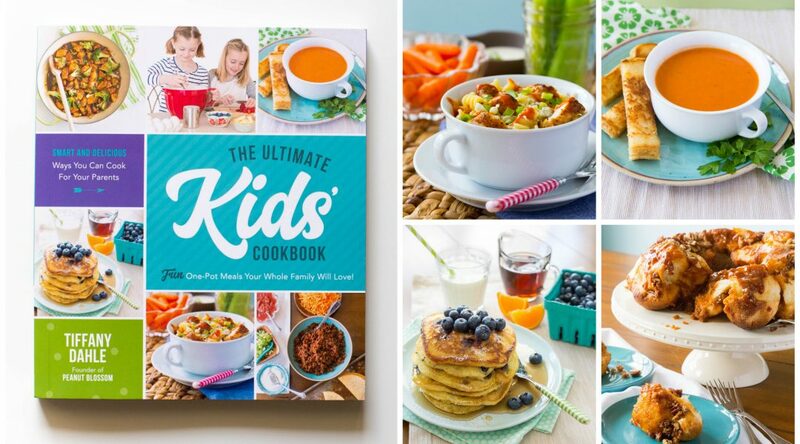 Check out the cookbook right here. We have two trips to the beach lined up for this summer and I can almost guarantee these butterscotch brownies will be coming along for the trip! The happiest surprise was just how easy the butterscotch brownie recipe is to make! I had the batter mixed and ready in the prepared pan before my oven was even fully pre-heated. It is the perfect recipe for baking with kids, they could do practically every step all by themselves. It’s mostly just measuring and stirring and it all happens in just one bowl. I know the butterscotch brownies will be a big hit with my mom who loves all things pecan. My girls practically inhaled the test batch I whipped up over the weekend. Crispy and chewy and chock full of crunchy nuts and butterscotch chips, these would be even more amazing with a simple scoop of vanilla ice cream. This one-bowl recipe is so easy, the batter will be done before the oven has even pre-heated! It’s a perfect first recipe for kids learning to bake. The sweet and salty combo is utterly addictive. Preheat the oven to 350 degrees F. Line an 8-inch square baking pan with aluminum foil. Be sure to use a piece large enough to cover the sides as well as the bottom. In a large bowl, add the brown sugar, melted butter, egg, and vanilla extract. Stir them to combine. Add the flour, salt, and baking powder, stir to combine. Fold in the pecans and butterscotch chips. The batter will be very thick. Add the batter to your prepared baking pan and use the back of a spoon or spatula to gently spread the mixture evenly across the bottom of the pan. Bake for 25 minutes or until the center is set and the top is a light golden brown. Cool on the stove top. Remove the bars by using the foil to lift the entire batch up and out of the dish. Cut into squares and serve.